We supply customers around the world with ingredients for the manufacture of life’s essentials. Specialty chemicals are used in paints, detergents, foods, plastics, cosmetics, construction, pulp and paper, pharmaceuticals, electronics, agriculture and for producing petroleum products. Our products can be used in a variety of ways. For example, as basic building blocks of manufactured products, in the processing of raw materials, as intermediates used to produce finished goods, or they may be used to enhance the functionality and durability of manufactured products. You’ll find us in the food you eat, the buildings you live and work in, the vehicles and roads you use to move around, as well as everyday items such as paper products and your children’s toys. 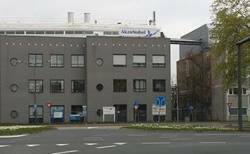 Op dit moment heeft AkzoNobel Specialty Chemicals geen vacatures geplaatst op Auditcarriere.nl.